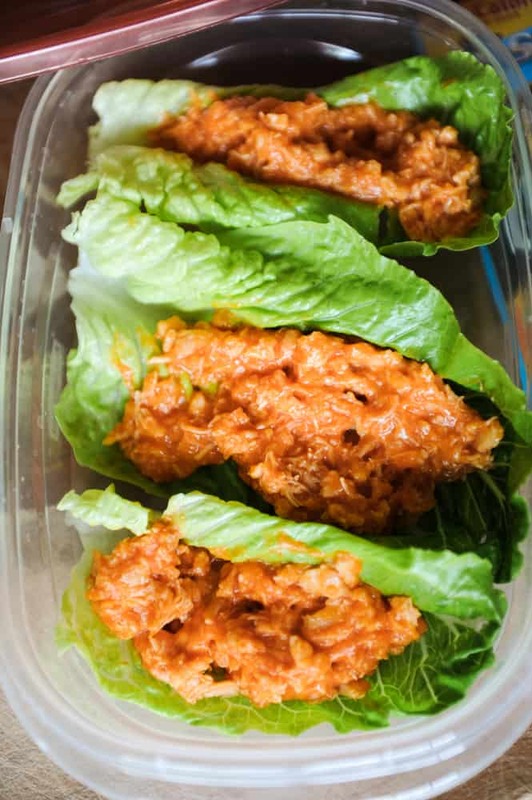 Low Carb lunches don’t have to be boring! My favorite low carb lunch ideas are simple. Just a few ingredients and a lot of flavor and you have a really tasty lunch that you can take to work or school. There is nothing worse than being out of the house with nothing to eat. I’ve learned that when you are prepared with a healthy lunch or snack, it’s a lot easier to stick to your meal plan! 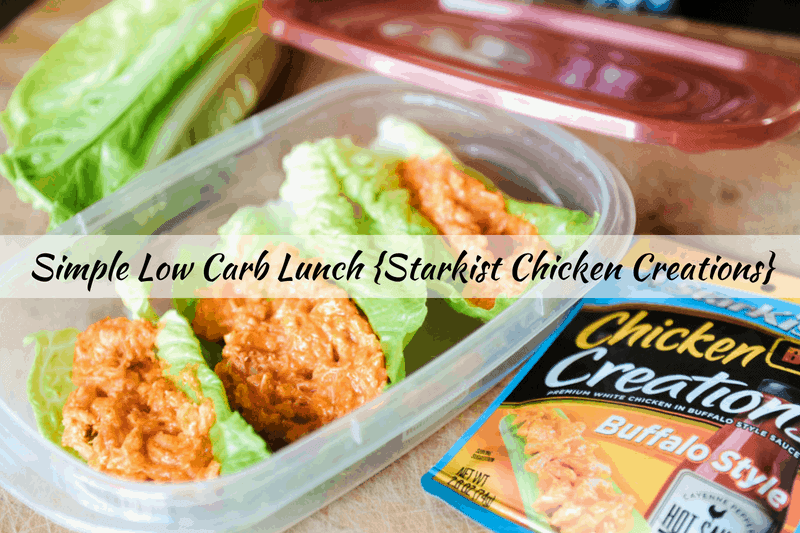 I am always looking for easy low carb lunches and StarKist Chicken Creations made my job that much easier with their BOLD Buffalo Style Chicken. 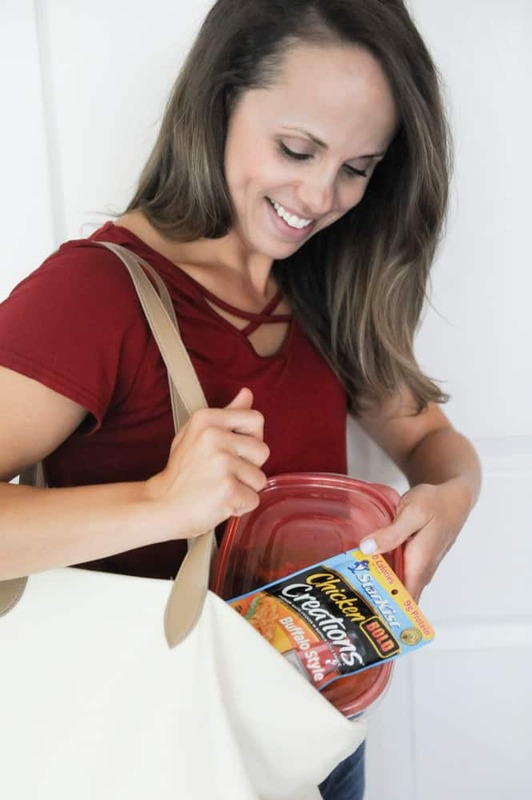 StarKist Tuna Creations are a healthy food on the go so I’m excited to share even more low carb lunch options with you. I’m a sucker for anything buffalo-flavored whether it’s football season or not! 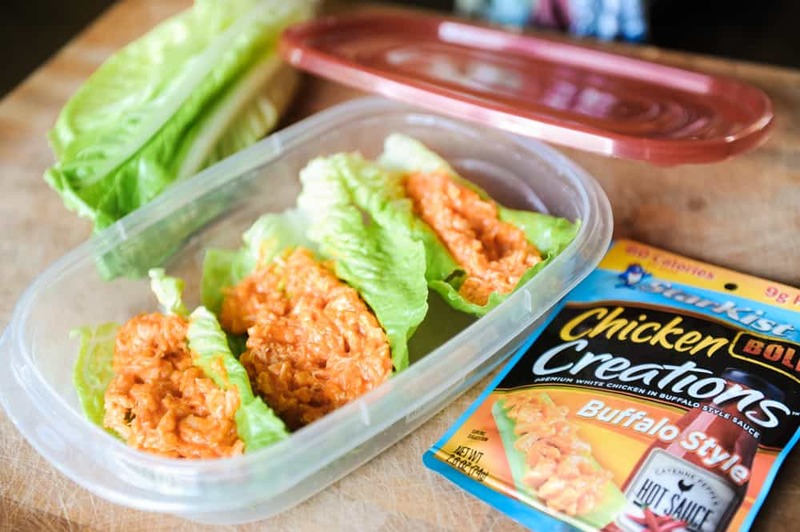 Pairing romaine lettuce leaves with a packet of StarKist Chicken Creations makes for a super simple low carb lunch. I also love that the premium, white meat chicken is sourced from American Farms, raised cage free and hormone free. 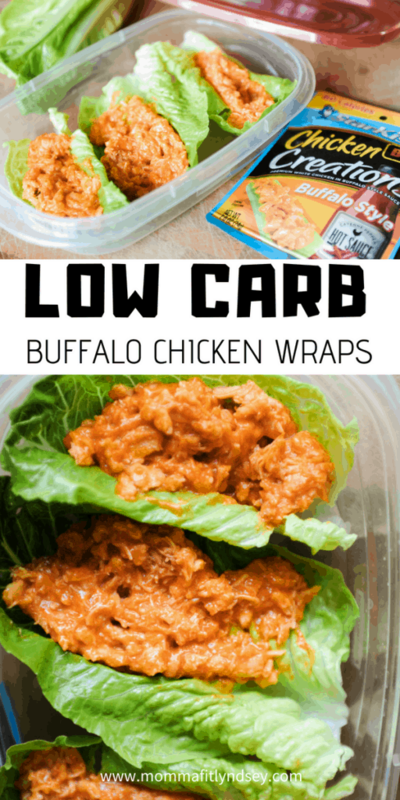 My favorite flavor is BOLD Buffalo Style Chicken is protein-packed with 9 grams of protein and 80 calories per serving. I’m also loving that it’s gluten and soy-free! Spoon StarKist Chicken creations into washed romaine leaves. Place in a travel container and refrigerate until you eat it. Yep, it’s that simple! One great thing about StarKist Chicken creations is that there are a bunch of different flavors. You could mix and match four different flavors : BOLD Buffalo Style, Zesty Lemon Pepper, Ginger Soy and Chicken Salad. Each one is a yummy low carb lunch! Follow @StarKistCharlie on Instagram and Twitter and like StarKist on Facebook. You can also visit http://starkist.com for more information. What is your go-to lunch on the go? Do you find yourself making and taking? Or hitting up the drive through? Tell me about it in the comments! Join 20,312 other followers and subscribers in getting more healthy family recipes right to your inbox! Download your Weekly Meal Planner below!